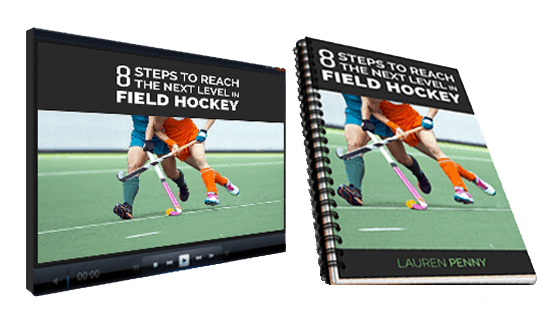 Want to improve your field hockey skills but don’t have much space or access to an astroturf? 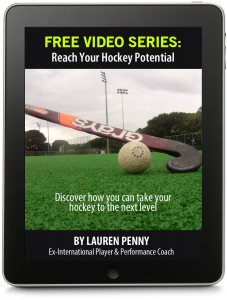 That’s why I’ve put together 3 effective field hockey drills to improve agility that can you anywhere with just 5-10m of space. 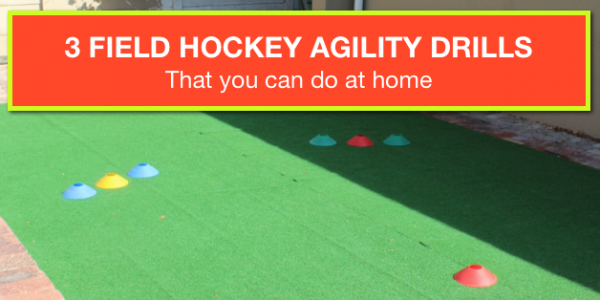 With agility being a large part of hockey, these drills focus on short and sharp movements while still maintaining control of the ball. Setup: Place cones A, B and D 5m apart and cones C & E 3m away from cone B. 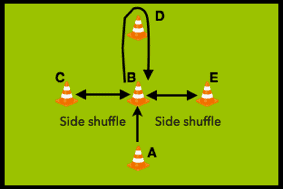 Start at cone A. Dribble with the ball to cone B, side shuffle (double pull) to cone C and back to cone B. Burst forwards around cone D, when you get back to cone B, side shuffle (and double pull) to cone E and back to cone B. Finish by dribbling back to cone A as quick as possible. Make a note of your time. Setup: Place cones A and E 10m apart. 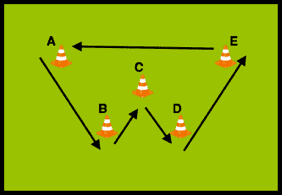 Cones B and D should be about 10m from cones A & E and cone C 3m from cones B & D.
Start at cone A. Sprint to cone B while dribbling the ball, then cut to cone C before decelerating and pulling the ball around cone D. Dribble to cone E, cutting around the cone to finish back at cone A. Make a note of your time. 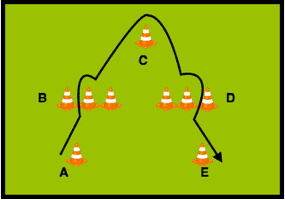 Start at cone A, dribble to cones at B, use a lifted/3D skill or elimination skill to get past cones, sprint with the ball to cone C, turn and head to cones at D, use another elimination skill or 3D skill to get past cones, finish at cone E.
Optional: Track the time it takes you to do each one, then share on facebook or instagram and challenge your friends. 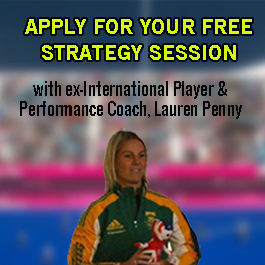 The weekly skill challenges are designed to help you improve your skills, ball control, hand-eye co-ordination and agility on the hockey field.